The Philidor position (or Philidor's position) usually refers to an important chess endgame which illustrates a drawing technique when the defender has a king and rook versus a king, rook, and a pawn. It is also known as the third rank defense, because of the importance of the rook on the third rank cutting off the opposing king. 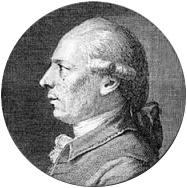 It was analyzed by François-André Danican Philidor in 1777. (Also see rook and pawn versus rook endgame.) Many rook and pawn versus rook endgames reach either the Philidor position or the Lucena position. If played accurately the defending side tries to reach the Philidor position; the other side tries to reach the winning Lucena position. Jesús de la Villa said "[The Philidor position] is perhaps the most important position in endgame theory" (de la Villa 2008:125). Philidor analyzed many positions, some of which have his name associated with them (see the subsequent sections). White defends the Philidor position, and draws. 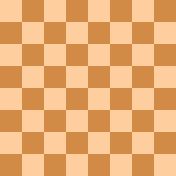 The opposing pawn has not yet reached the defender's third rank (its sixth rank). Black would like to get his king to the e3-square and threaten checkmate to force the white king away from the queening square of the pawn, e1. The white rook on the third rank prevents that. If Black checks with the rook from the side, White simply keeps the king in front of the pawn by alternating between squares e1 and e2. If Black offers an exchange of rooks White should take it, since the resulting king and pawn endgame is drawn (see King and pawn versus king endgame). If 1...e3, advancing the pawn immediately, then 2.Ra8 draws since Black's king cannot escape checks without losing the e-pawn, when the resulting position with each side playing with a king and a rook, is a draw. Since now Black's king cannot move to e3, it is safe to move the rook away to the far end of the board (the defender's seventh or eighth rank). Note that 4.Rb4+ (??) loses immediately to 4...Kf3 when Black will checkmate or force the exchange of rooks followed by ...Kf2 and promotion of the pawn. 7...Kg5 is also answered by 8.Re8. To sum up the defense: the defender should keep his king in front of the opposing pawn and keep his rook on the third rank until the pawn advances to that rank, then go to the far end of the board (the seventh or eighth rank) and check the king from behind. If the attacker tries to get his king to his sixth rank by moving his rook to that rank first to block the checks, the defender simply exchanges rooks and has a drawn king and pawn versus king endgame. White to move wins; Black to move draws. 2.Ra8# was threatened. Moving the king to the "short side" of the pawn is relatively better than to the other side. etc., and wins (Nunn 1999:281–82). Note that Black reaches a draw after 1.Kd6? Re4!, for example 2.Ke6 Kf8 3.Ra8+ Kg7 4.Kd6 Kf7 and White cannot break through. Black to move can draw with 1...Ra5 2.e5 Ra1 and then checking from behind. Philidor's defense can also be used if the pawn is less advanced. In that case, the defending rook can occupy its fourth rank instead of its third rank and the defending king should be on at least its second rank. When the pawn reaches the rank of the defending rook, the rook moves to its eighth rank to check the opposing king from behind (assuming that the opposing rook is not on that rank) (Howell 1997:42), (Rogers 2010:41). Philidor thought that the only way to draw was to keep the defending rook on its third rank until the pawn reached that rank and then attack from behind. In 1897 Max A.K.S. Karstedt (1868–1945) showed that this is not strictly true and Johann Berger (1845–1933) expanded on that. There are other ways to draw; however, the alternate defenses are more complicated (Rabinovich 2012:362–67). White wins with either side to move. Philidor studied many endgame positions. Another one that he studied in 1777 (and is also called Philidor's position) involves a queen versus a rook (see the diagram). and now it is back to the same position but Black has to move (and is in zugzwang) (Nunn 2002:50–51), (Müller & Pajeken 2008:178). Nunn describes that with the pieces in the center of the board the queen ought to force the rook towards the Philidor position. Nunn describes the various retreat positions for the rook, the "fourth, third, second" rank defenses, then the "Philidor position". It is usually easy for White to force Black into the Philidor position (Nunn 2002:51). With Black to play in the Philidor position, the rook can be won in a few moves (Nunn 2002:50). White to move wins (checkmate in 19 moves with optimal play). Another famous position studied by and named after Philidor is in the ending of a rook and bishop versus a rook (diagram). White wins because his king has reached the sixth rank and black's king is poorly placed (opposite the white king) (Howell 1997:148–50). If this type of position arises, it is usually because of inferior defense. Nevertheless, it is tricky to win (Nunn 2007:163). This page was last edited on 24 March 2018, at 16:40 (UTC).